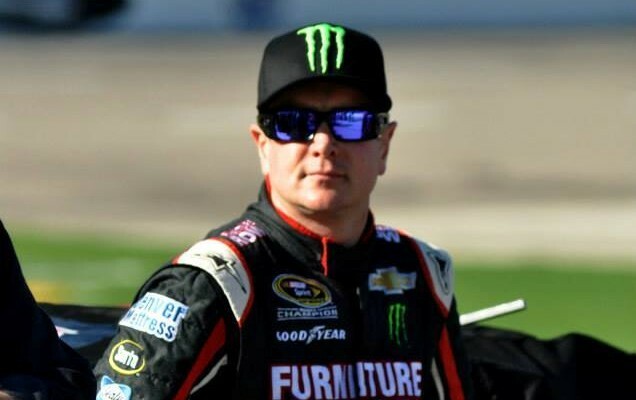 INDIANAPOLIS — While at the Performance Racing Industry Show in Indianapolis this past weekend, Tony Stewart said that he would fully support Kurt Busch running the Memorial Day double, running both the Indianapolis 500 and Coca Cola 600 on the same day. 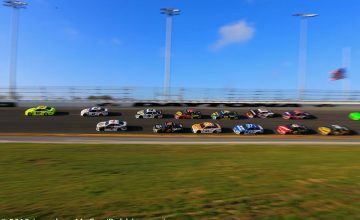 Busch drives for Stewart’s team in the Sprint Cup Series, behind the wheel of the No. 41 Haas Automation Chevrolet for Stewart-Haas Racing. In his first attempt at the double, Busch took home Indy 500 Rookie of the Year honors after finishing sixth for Andretti Autosport. He then completed 406 miles in the Coke 600 before the motor blew. Busch is the fourth driver to have attempted the double, joining John Andretti, Robby Gordon and Stewart. Stewart is the only driver to have completed all the miles. 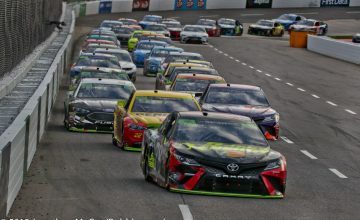 Ashley McCubbin serves as a Contibuting Writer in the NASCAR Canadian Tire Series department, and can be followed on Twitter at @ladybug388. A native of Bradford, Ontario, Canada, McCubbin spends a majority of her weekends at local short tracks. 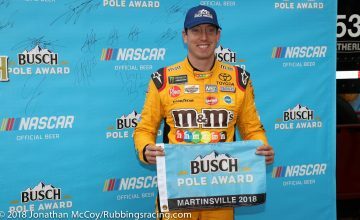 MENCS: Kyle Busch wins the pole for the First Data 500, Bowyer to start alongside.